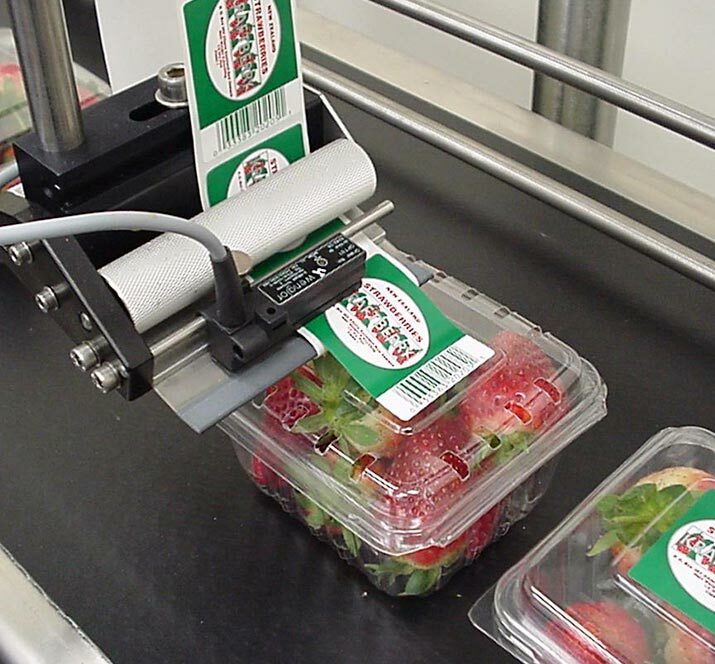 Realise the benefits of streamlined coding, labelling and inspection for your food and grocery business. With extensive industry expertise and advanced technologies, we can meet the unique processing demands of your business – whatever your product, whatever the size. Our robust solutions are ideal for the high speed, high demand processing environments typically found in the food and grocery industry. And because they are easy to use with a low cost-of-ownership, you can drive production efficiency, reduce waste and improve your bottom line. Whatever your food and grocery product and whatever your business size, large multinationals with high speed lines to small family businesses with niche products, Matthews can help you select the most efficient and cost-effective coding and labelling solution for your needs. When date marking food, we have a range of technologies ready to code onto the many packaging materials used in the food and grocery industry, from Thermal Transfer Overprinters for flexible film to Small Character Continuous Inkjet Printers and Large Character Drop-on-Demand Inkjet Printers for paper and cardboard. Apply pre-printed labels to your products or print and apply labels seamlessly with our efficient labelling technologies. We also have custom-designed solutions to meet GS1 and retailer compliant pallet labelling. Today’s food and grocery businesses face increasingly stringent coding and labelling requirements, and Matthews can help you meet them with confidence. Our coding technologies can provide mandatory codes and labels for your retail packaging, secondary cartons, trays and pallets, so your products always have the correct date codes, batch codes, barcodes and nutritional panels. Get right code on the right product at the right time. Our scanners, machine vision and iDSnet package code management software solutions will help you check code presence, label position, label ID and label match. Talk to our experts and find out how we can provide a tailored solution for your food and grocery business. Streamline your production line with weigh-labelling or weigh-price labelling systems from Matthews. Made in Germany by Bizerba, our flexible, fully automated solutions will accelerate efficiency in both food and non-food industries. Drive targeted cost reductions and more transparency with Matthews’ checkweighing systems. Made in Germany by Bizerba, our high-performance range of checkweighers make it easy to get greater visibility and efficiency across your production line. Take advantage of robust label printing solutions for your business. Matthews’ mobile industrial and desktop label printers are designed to help you increase productivity and accuracy in your factory or warehouse. Discover low cost, flexible Large Character Drop On Demand Inkjet printers from Matthews Australasia. Our robust, low maintenance solutions are ideal for printing onto secondary packaging and timber & hardware products. Automatic weigh labelling and weigh-price labelling from Matthews Australasia for high-speed inline or standalone weighing, label printing and application. Advanced weighing and printing technology streamlines your processes and improves accuracy.